The weekly contest we ran to celebrate our company’s 10th Anniversary last year ended on December 31st. We gave away 20 sets of the IT Manager ToolKit in the last 20 weeks of last year plus an Apple iPad winner was randomly drawn from our ITLever Subscriber list on December 4th. Andrew Carter of Toronto, Canada won the iPad, , , he seemed very pleased about it when we traded email messages, , , and it arrived to him just in time for Christmas Holidays. My thanks to all who have subscribed to ITLever and the many positive comments we have received since starting the ITLever Blog last May. We are looking forward to doing much more in 2011. Congratulations to Andrew Carter of Toronto, Canada , , , he has won our Apple iPad contest to help celebrate our company turning 10 this year. Thanks Andrew, , , positive comments make my day, , , and it’s even nice to be able to give something like an Apple iPad to someone I don’t even know. My job is one of the best you can have and so rewarding in being able to meet people like Andrew (albeit virtually by email) and others who strive to become better and more effective IT managers. CLICK HERE to see a list of all winners. Two more winners of our weekly IT Manager ToolKit contest. In the last two weeks we awarded two more IT Manager ToolKits to random selections of the Subscribers to our ITLever Blog. That makes 9 ToolKits we have awarded and the big drawing will be December 5th when we select a recipient for an Apple iPad. We have subscribers from all parts of the world and appreciate your support. Click here for a list of all winners. We are giving away a free ToolKit every week through the end of the year and an Apple iPad on December 4th, , , you must be an ITLever Subscriber to win. To subscribe, simply select the link in the EMAIL SUBSCRIPTION section in the right-hand panel on this page and choose the timing of how you want to receive new posts to the ITLever Blog (immediately, daily, or weekly). You may opt out at any time. Steven Schauer from East Moline, Illinois won the weekly ITLever contest concluded on September 25th. He received an IT Manager ToolKit that sells for $175.00. Phil Sargeant of Alexandria, Virginia wins our 5th weekly contest and is awarded a free IT Manager ToolKit valued at $175.00. Our tools and templates are used by thousands of IT managers around the world and are simple to use in helping you organize, manage, and monitor your IT business. 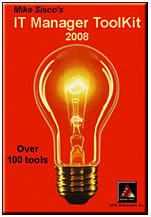 Over 100 tools and templates. Go to https://itlever.com/2010/08/12/subscribe-to-itlever-and-win/ to learn more and to see a list of all winners. 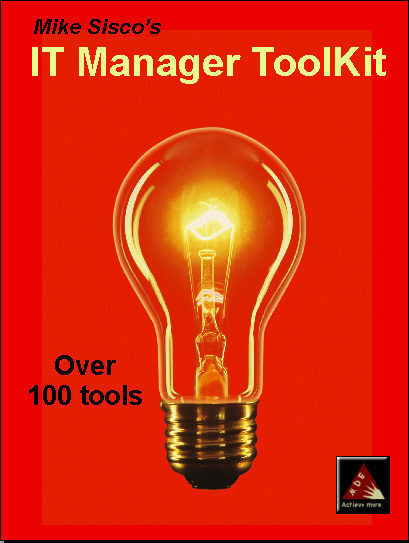 Every week we give away a free IT Manager ToolKit to celebrate our company getting to be 10 years old, , , a major milestone for us. You must be a current subscriber of ITLever to win. To subscribe, click the EMAIL SUBSCRIPTION link in the righthand panel and then select the frequency you want to receive new posts to our ITLever Blog (immediately, once a day, or once a week). Subscribe to ITLever and you may be our next big winner. Jorge Murillo from Costa Rica won a free IT Manager ToolKit for last week’s contest ending September 4, 2010, , , our third contest in as many weeks. We are giving away a free IT Manager ToolKit valued at $175.00 each week through the end of the year to celebrate our company turning 10 years old. 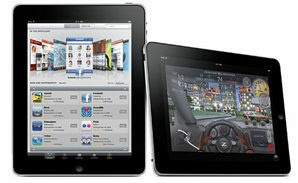 Better yet, we will select a random winner from our ITLever subscribers and award a free Apple iPad on December 4th, 2010. You must be a current subscriber of ITLever to win. To subscribe, click the EMAIL SUBSCRIPTION link in the righthand panel and then select the frequency you want to receive new posts to our ITLever Blog (immediately, once a day, or once a week). Sham Raju from Bangalore, India has won an IT Manager ToolKit in the contest held for week #2 ending August 28.